Welcome to the 43rd Season of the Salt Lake Symphony! Just a quick glance through the season repertoire will confirm that this is an orchestra that means business—and our business is bringing high quality symphonic performances to YOU, the music lovers of the Salt Lake Valley and the State of Utah. I am thrilled to begin my 14th season as music director of this outstanding ensemble of volunteer musicians. Volunteers, yes, but those who play with an amateur's enthusiasm at a professional level of commitment. Patrons often remark at how enjoyable and exciting our concerts are. Now it's your time to discover YOUR Salt Lake Symphony. So whether it’s beloved classics by Beethoven, energetic favorites by Stravinsky or a brand new work, written especially for this orchestra, you are in for a treat! Join us and discover our passion for music. It will soon become your passion as well! Available at the door with cash, check or credit card. 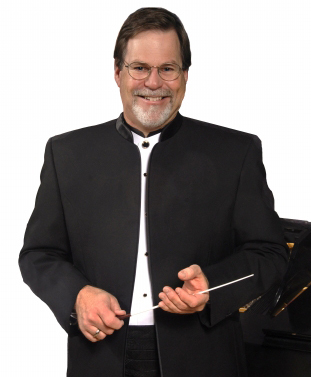 Be sure to attend the free pre-concert lecture by guest conductor Robert Seebacher, discussing the culture behind the music, at 6:15 p.m. in Room 270, right behind the concert hall. Funded in part by a generous donation from the South Salt Lake Rotary Foundation. Salt Lake Symphony thanks the voters of Salt Lake County for their support of the Zoo, Arts & Parks program, the Utah Arts Council, and Xmission, L.L.C. for its donation of Internet services. See other ZAP-sponsored events at Now Playing Utah.